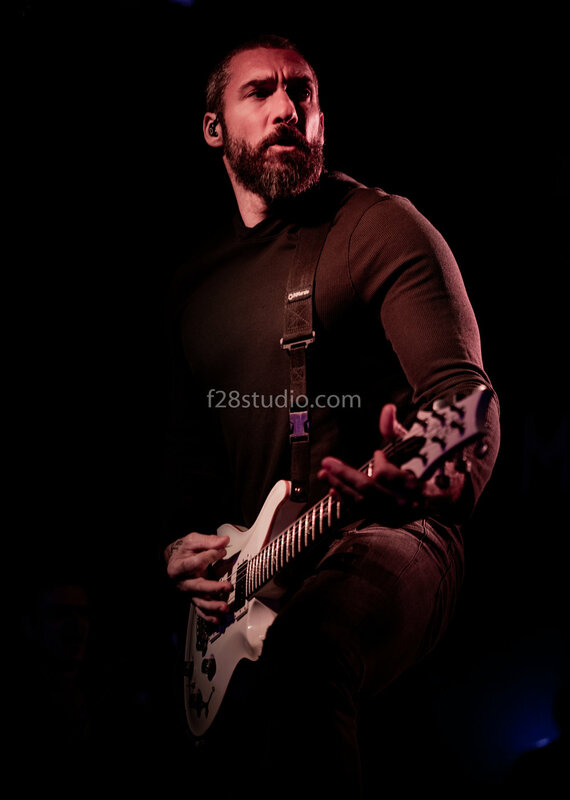 I got the chance to photograph two of the best hard rock/metal bands out today. When I heard Tremonti and Sevendust were going to be on the same bill an overwhelming feeling of joy came over me. 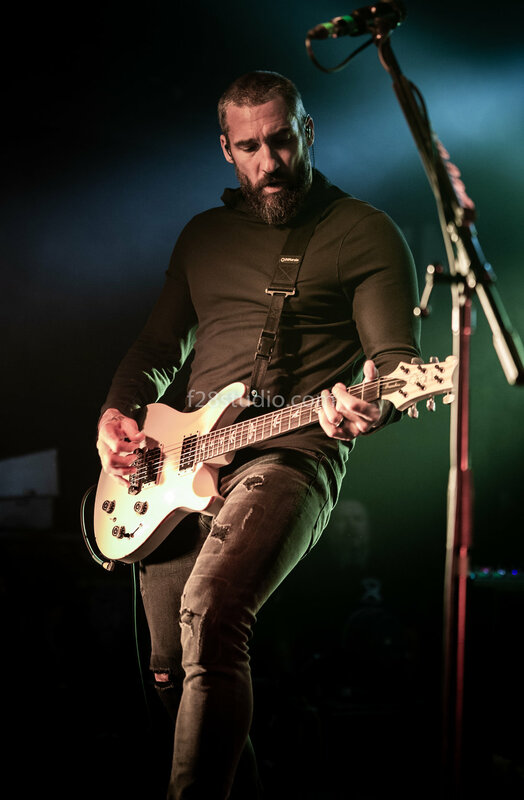 Sevendust and Mark Tremonti have an amazing musical history and catalog that goes back 20 years. Each of these bands and or artists carry with them a unique and incredible sound that has resonated to fans around the world. 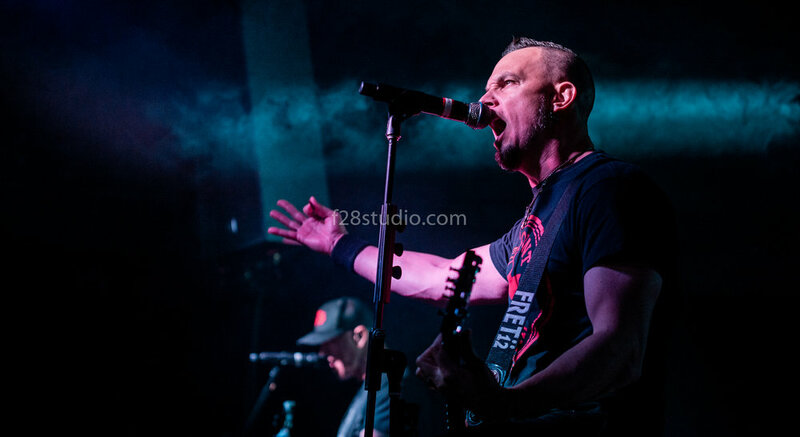 I covered Tremonti last year as well as Sevendust on two separate tours. I will leave the links to these below so you can see my individual thoughts, review and pictures. 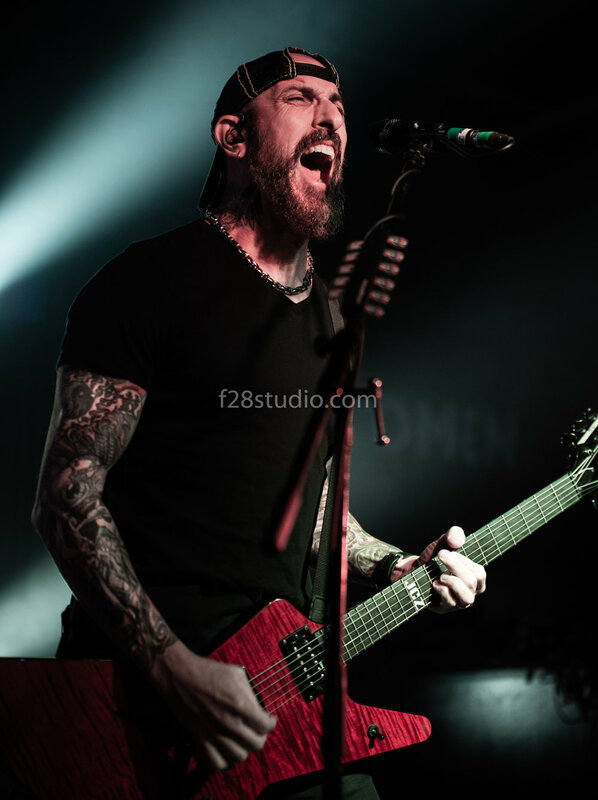 Sevendust and Tremonti played at a venue in Greensboro called the “Blind Tiger”. This venue fits about 600 people and the show was sold out. I went up to get my credentials but had some issues with the security staff as they did not seem to know much of anything that was going on. After I got my credentials I and another photographer went in to get ready and capture the show. I walked up to the front of the venue and talked with one of the security guys, showed my pass and he let me in the pit. The crowd was very excited anticipating Tremonti to come to the stage. The lights dimmed and I could see Mark and the rest of the band on the right side getting ready to walk on stage. The band started to walk on stage and the crowd started yelling in excitement. Mark came on stage last and that is when the lights turned up and the crowd went wild. 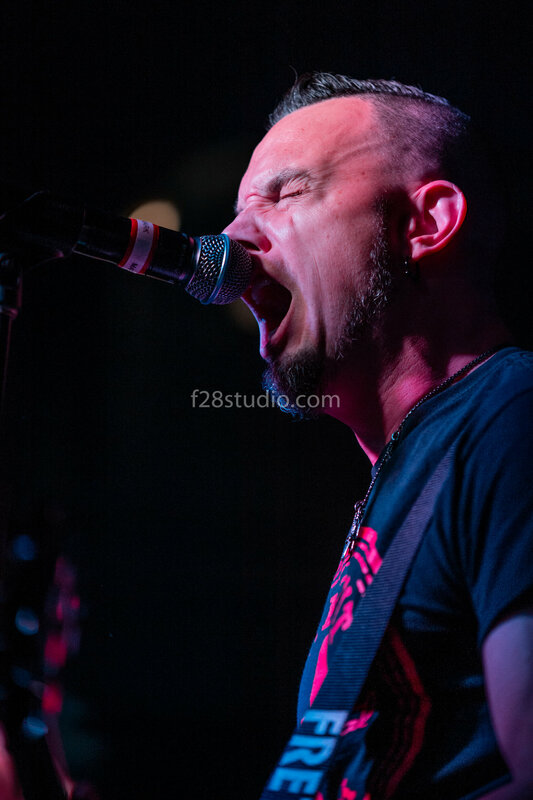 Tremonti played a great set and did not hold back at all. They sounded clear and clean while still pushing out heavy riffs with Marks killer vocals bringing it all together. 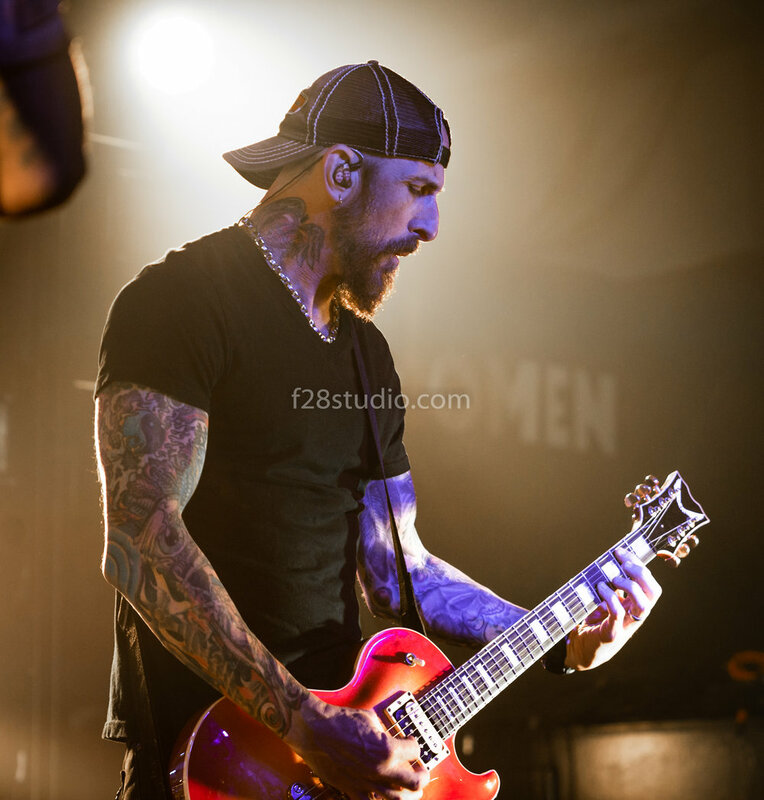 Mark is a powerful guitarist in the sense that he has purpose when playing. You can see it in his performance, he puts one leg up and just has a commanding presence when on stage. If you still have not seen them live yet then you are missing out and need to check out one of their shows! 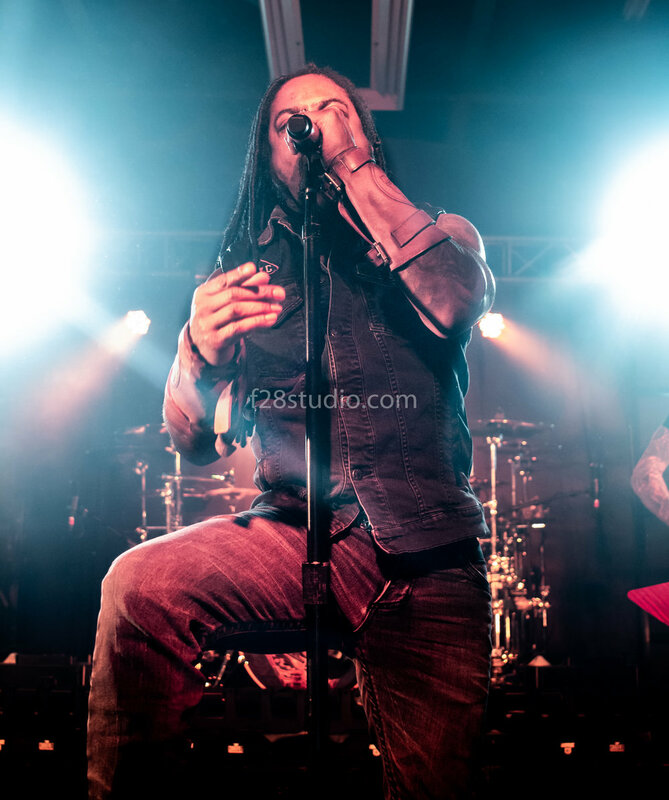 Sevendust is a band that I personally have a musical history with. I go over some of that in my last review of their show with Clutch last year. So Sevendust to me is a special band and holds a special place in my heart. I first saw Sevendust in 1997 when their first album came out in Boston Mass so being able to cover their tour 20+ years later is a full circle for me. Lajons vocals are just amazing. When you hear his voice you can automatically tell it is Lajon Witherspoon, no one sounds like him or has his varying vocal range. Now when I say vocal range I am talking about his ability to go from heavy, deep and emotional low tones to melodic almost poetic tones like in the song “Angels Son”. When I first saw them live in 1997 that was the biggest thing that caught my attention was his vocal range and the ability the band had to mix and create such heavy riffs with emotionally impact full vocals. The entire band works together so well with a blending of Clints and Johns guitar riffs, Vinces bass work and Morgan Roses drumming style. The entire band together creates the very rare anomaly of a true 100% unique metal music. Bands try to copy them but their is only one Sevendust.